Alex Traiman is a writer and director from Beit El, a Jewish settlement in the West Bank comprised predominantly of far-right and religious Israelis. Traiman has emerged within Israel and the United States as a vocal proponent of Israel’s controversial settlement policy and an advocate of military action against Iran’s alleged nuclear weapons program. Traiman is also the Jerusalem bureau chief for the Jewish News Service (JNS), a news outlet that Mondoweiss claims “peddles neocon propaganda as news.” JNS is run by Joshua Katzen, a supporter of Israeli settlements in the occupied Palestinian territories who serves on the boards of the neoconservative Jewish Institute for National Security Affairs (JINSA) and the Daniel Pipes led-Middle East Forum. Traiman is best known for writing and directing the film Iranium, a controversial call to arms against the Iranian government that is widely available online. The film was distributed by the Clarion Project, a neoconservative-led nonprofit that the Center for American Progress has identified as a key part of the “Islamophobia network” in the United States. Prominent Washington screenings of the film, including one hosted by Richard Perle, were hosted at right-wing policy organizations like the Endowment for Middle East Truth and the Heritage Foundation. Other reviewers criticized the apparent influence on the film of religious settlers like Traiman. “There is a clear irony in having Israeli settler religious extremists urging the U.S. to bomb religious extremists in Iran," said Laura Friedman of the Jewish peace group Americans for Peace Now. Traiman was a writer for the 2013 Clarion-produced documentary Honor Diaries. The film, which one commentator characterized as “a piece of propaganda masquerading as a feminist, humanist film,” purported to cover “issues facing women in Muslim-majority societies.” The film was co-written and produced by Paula Kweskin, a legal researcher at the “pro-Israel” NGO Monitor. Controversial Islam critic Ayaan Hirsi Ali also served as the film's executive producer. Traiman has also defended the construction of Jewish settlements on privately owned Palestinian land in the West Bank, citing an Israeli rule that land left uncultivated for 10 years should be turned over to the state—a stance he maintained even in the case of a disputed plot in the Beit El settlement, which by Traiman’s own admission the Arab landowner had been prohibited from visiting by Israeli occupation forces. After the Israeli Supreme Court ruled that several buildings in the disputed plot should be demolished, Traiman wrote in the Sheldon Adelson-owned Israel Hayom: “It is widely assumed in this country that the Supreme Court is the ultimate protector of democracy, while the residents of Judea and Samaria trample the rule of law. We should know better than to stereotype.” The phrase “Judea and Samaria” is often used by right-wing settlers to refer to the occupied West Bank. Traiman added: “Proponents of knocking down the houses routinely double back to the tired argument that the buildings should be destroyed anyway because they are built on land that will ultimately be handed over for a Palestinian state. … [But] is a Palestinian state in the West Bank an absolute given at this point? As Israel readies for elections, it is clear that neither Israeli nor Palestinian governments have a democratic mandate to reach such an agreement.” However, nearly all observers agree that Israeli settlement activity in the West Bank has been a primary reason for the hobbled Israeli-Palestinian peace process. In other writings aimed at Israeli audiences, Traiman has variously praised the anti-Islam activist Ayan Hirsi Ali as “one of the bravest female voices of the modern era” and provided sympathetic coverage to the notion that Israel’s 2006 war with Lebanon was caused by a proposed gay pride event in Israel. Allison Deger, “Startup ‘Jewish News Service’ peddles neocon propaganda as news,” Mondoweiss, July 13, 2013,http://mondoweiss.net/2013/07/startup-jewish-news-service-peddles-neocon-propaganda-as-news. 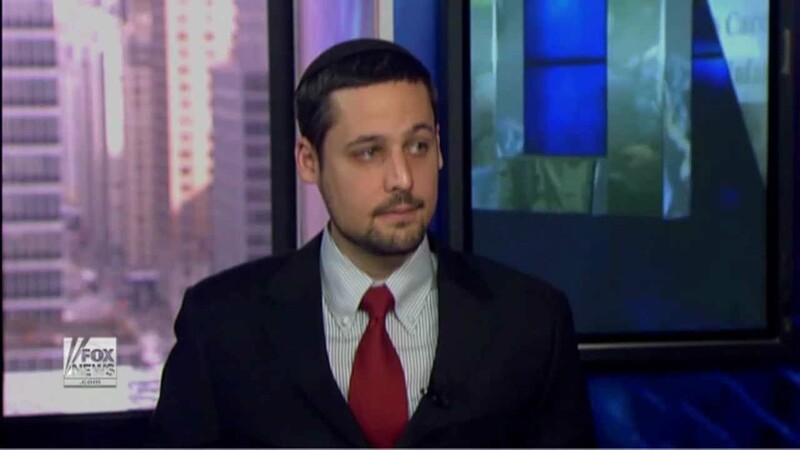 Josh Nathan-Kazis, “Feldgling Jewish News Service Rocks Boat With Strident Pro-Israel Message,” Forward, June 28, 2013,http://forward.com/articles/179453/fledgling-jewish-news-service-rocks-boat-with-stri/?p=all#ixzz3WfBgoycM. Wajahat Ali, Eli Clifton, Matthew Duss, Lee Fang, Scott Keyes, and Faiz Shakir, Fear, Inc.: The Roots of the Islamophobic Network in America, Center for American Progress, August 26, 2011,http://www.americanprogress.org/issues/religion/report/2011/08/26/10165/fear-inc/. Ali Gharib, “‘Iranium’: Dangerous Bomb-Iran Documentary Directed by Right-Wing Israeli Extremist, Promoted by Neocon Richard Perle,” AlterNet, February 6, 2011, http://www.blogs.alternet.org/story/149810/%22iranium%22%3A_dangerous_bomb-iran_documentary_directed_by_right-wing_israeli_extremist%2C_promoted_by_neocon_richard_perle?paging=off. Alex Traiman, “Iran Strikes Again,” RadicalIslam.org, July 19, 2012, http://www.radicalislam.org/analysis/iran-strikes-again. Eli Clifton and Ali Gharib, “'Iranium' or: How I Learned to Stop Worrying and Love the 'Military Option,'” PBS Tehran Bureau, January 26, 2011, http://www.pbs.org/wgbh/pages/frontline/tehranbureau/2011/01/iranium.html#ixzz2Kd9nU3zo. Quoted in Ali Gharib, “‘Iranium’: Dangerous Bomb-Iran Documentary Directed by Right-Wing Israeli Extremist, Promoted by Neocon Richard Perle,” AlterNet, February 6, 2011,http://www.blogs.alternet.org/story/149810/%22iranium%22%3A_dangerous_bomb-iran_documentary_directed_by_right-wing_israeli_extremist%2C_promoted_by_neocon_richard_perle?paging=off. Richard Silverstein, "FoxNews Gins Up 'Honor Diaries' Controversy," Islamophobia Today, March 30, 2014,http://www.islamophobiatoday.com/2014/03/30/foxnews-gins-up-honor-diaries-controversy/. Honor Diaries, "Film Synopsis," http://www.honordiaries.com/about-the-film/. Roqayah Chamseddine, "The Agenda Behind Honor Diaries," Letters from the Underground, April 1, 2014,http://roqayah.co/2014/04/01/the-agenda-behind-honor-diaries/. Gareth Porter, “Bulgarian Charge of Hezbollah Bombing Was an ‘Assumption,’” Inter Press Service, February 7, 2013,http://www.ipsnews.net/2013/02/bulgarian-charge-of-hezbollah-bombing-was-an-assumption/. 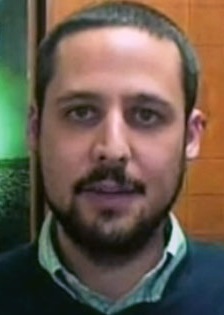 Alex Traiman, “Ulpana is neither an outpost nor illegal,” Israel Hayom, May 6, 2012,http://www.israelhayom.com/site/newsletter_opinion.php?id=1837. Alex Traiman, “NGO Counters Illegal Palestinian and Arab building amid global focus on Jewish Contruction,” JNS, June 9, 2013, http://www.jns.org/latest-articles/2013/6/9/amid-global-focus-on-jewish-construction-ngo-counters-illegal-arab-building#.VSSqivnF8Rp=, . Alex Traiman, “NGO Counters Illegal Palestinian and Arab building amid global focus on Jewish Contruction,” JNS, June 9, 2013,http://www.jns.org/latest-articles/2013/6/9/amid-global-focus-on-jewish-construction-ngo-counters-illegal-arab-building#.VSSqivnF8Rp=, . Alex Traiman, “Let Ayaan Hirsi Ali speak,” Times of Israel, June 26, 2012, http://blogs.timesofisrael.com/let-ayaan-hirsi-ali-speak/. Alex Traiman, “Violence in Israel caused by 'gay' event?” World Net Daily, July 19, 2006, http://www.wnd.com/2006/07/37087/.